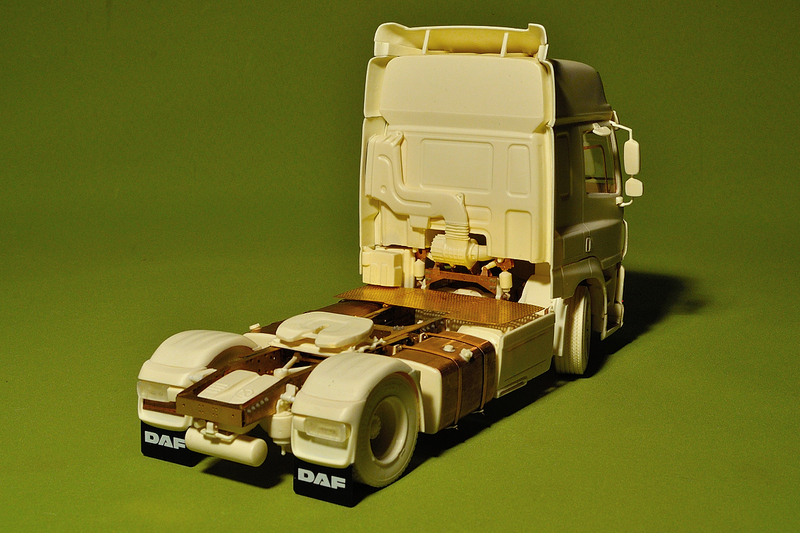 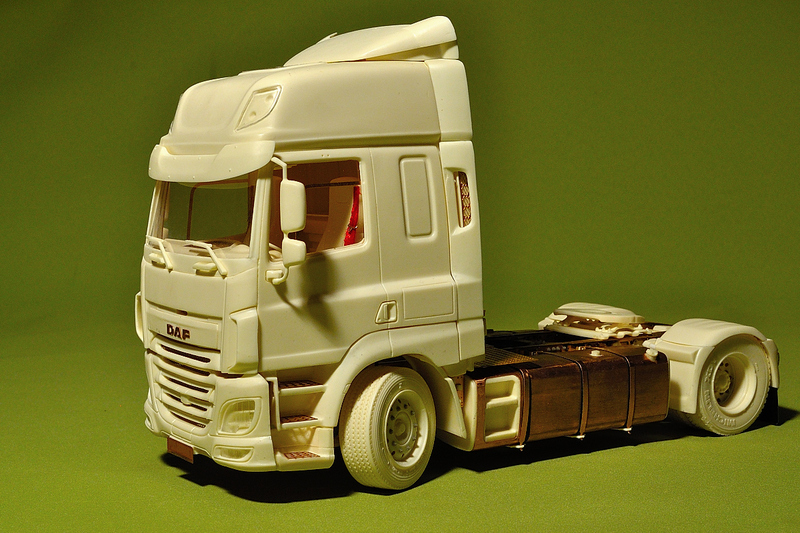 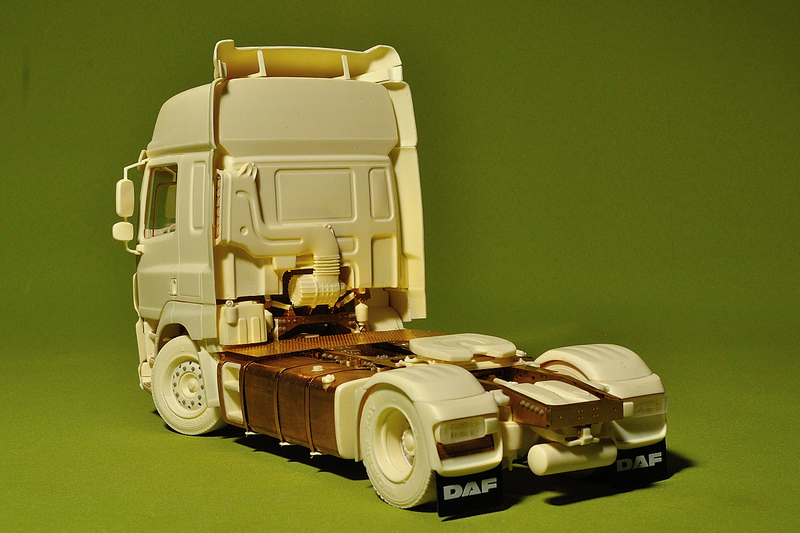 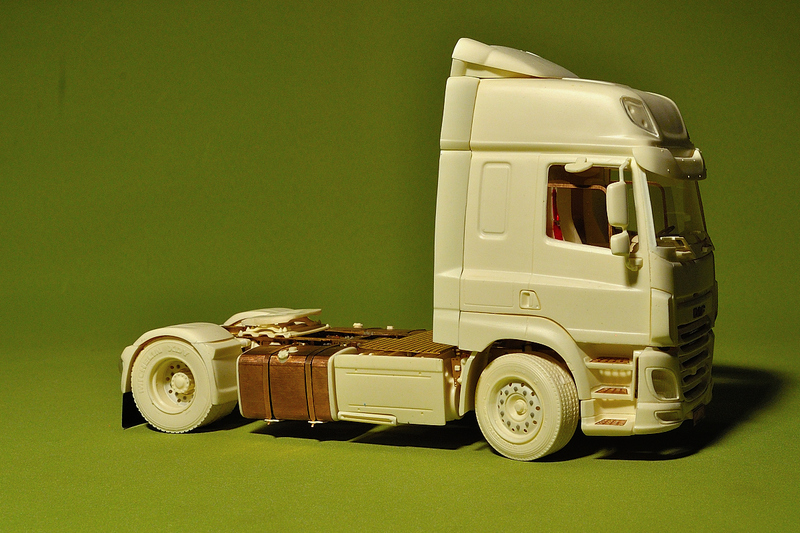 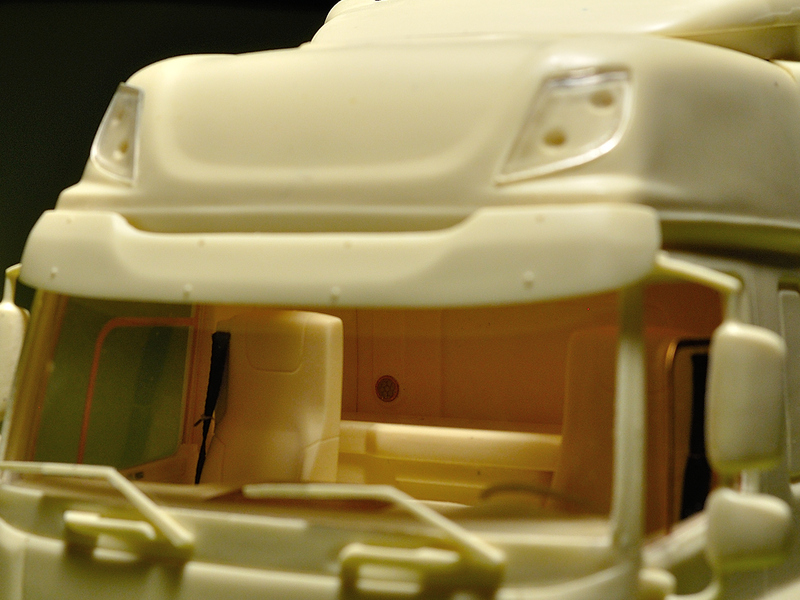 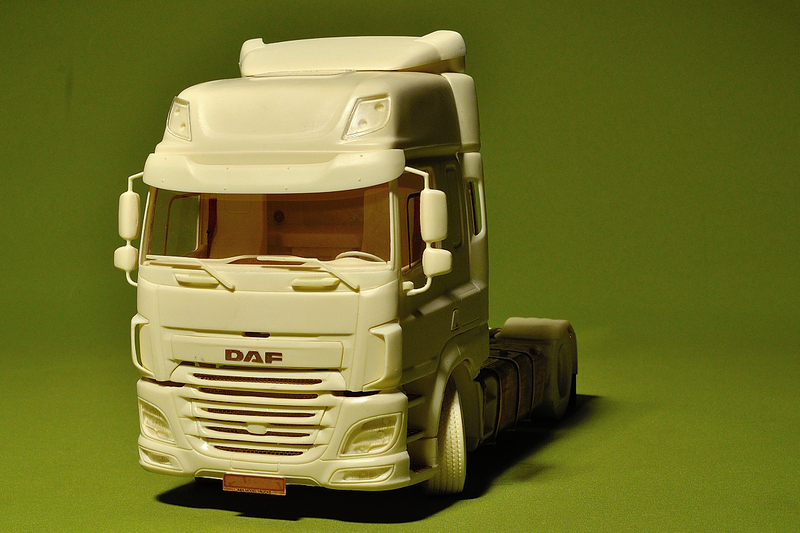 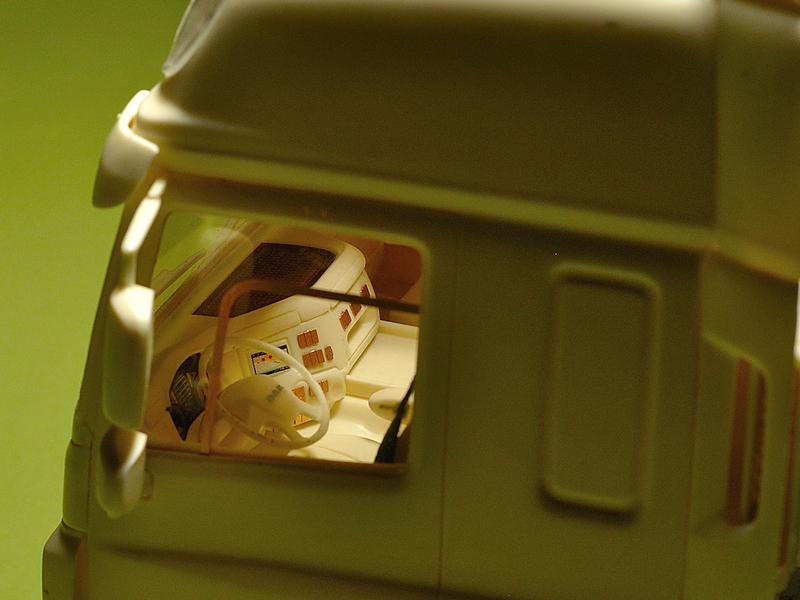 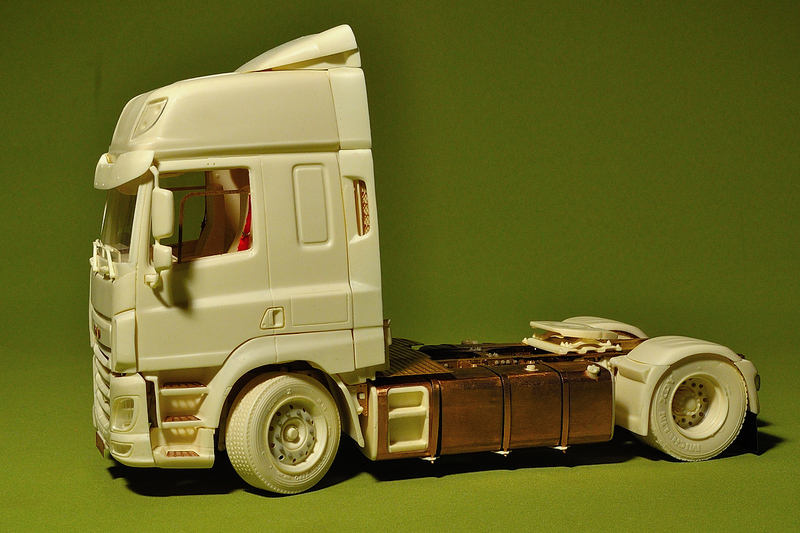 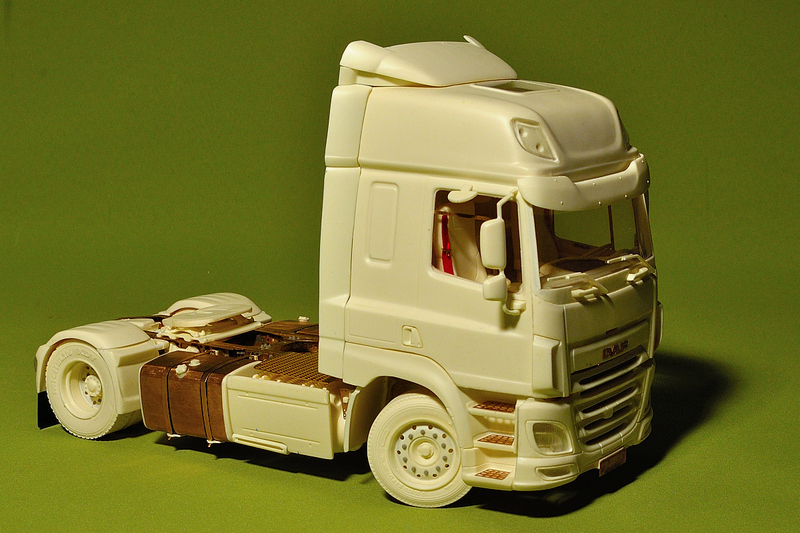 Highly detailed resin cab kit of the new Dutch truck „CF” (Euro 6). 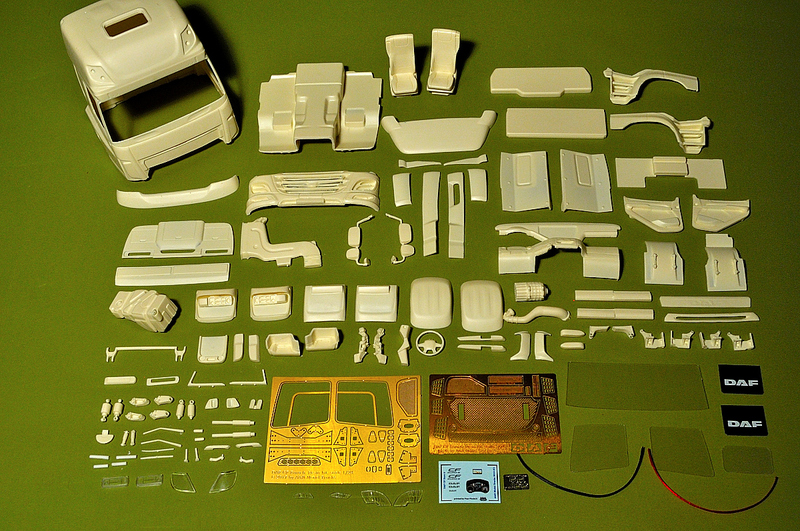 Kit contains highly detailed interior, fine real meshes for grill and front bumper, detailed cab’s rear and front suspensions, flexible mudflaps. 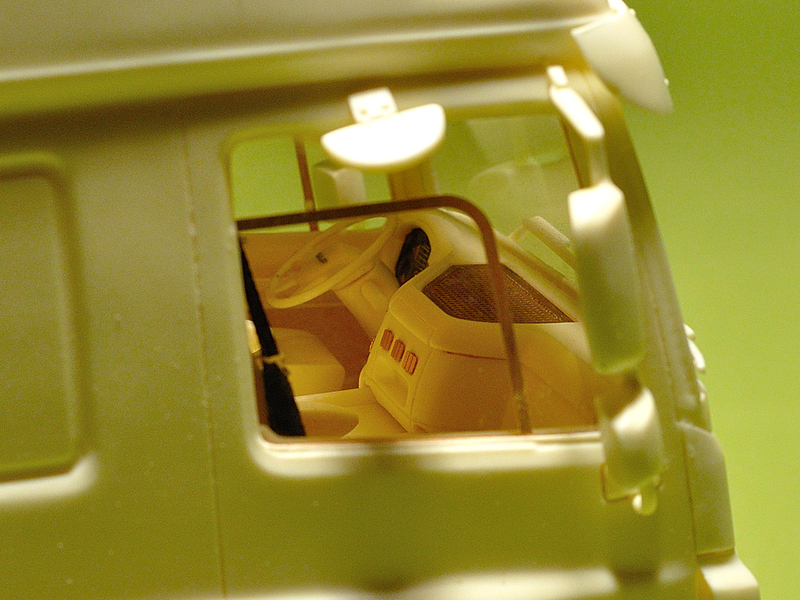 Also you can choose right or left hand drive dashboard with decals. 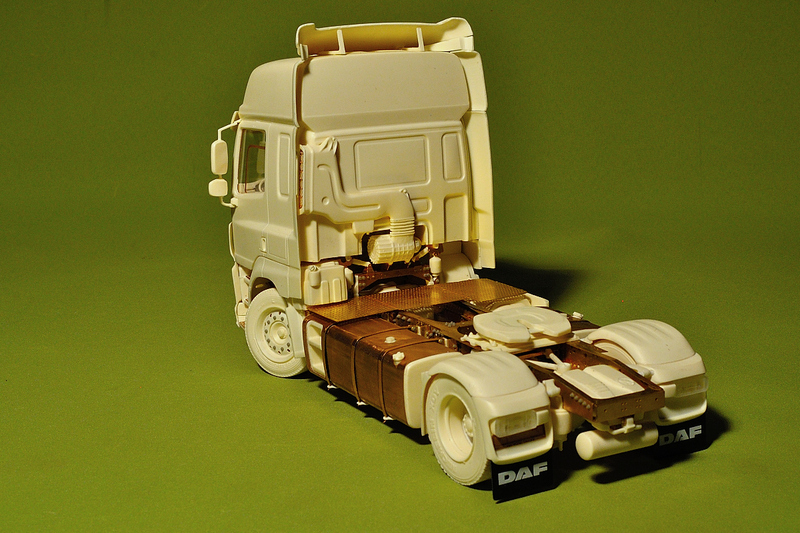 Mock up pictures by SIA „A&N Model Trucks”; A&N Model Trucks photo-etched chassis was used. 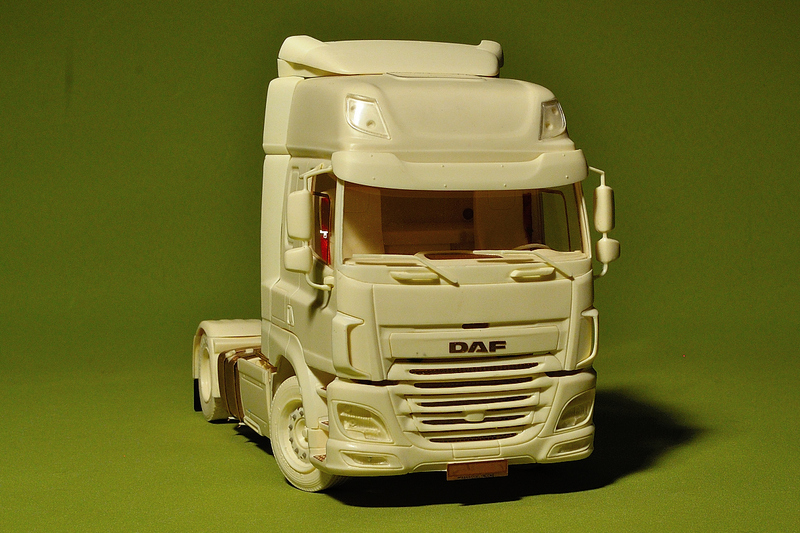 Master patterns, design of PE-parts and casting by SIA „A&N Model Trucks” © 2017.